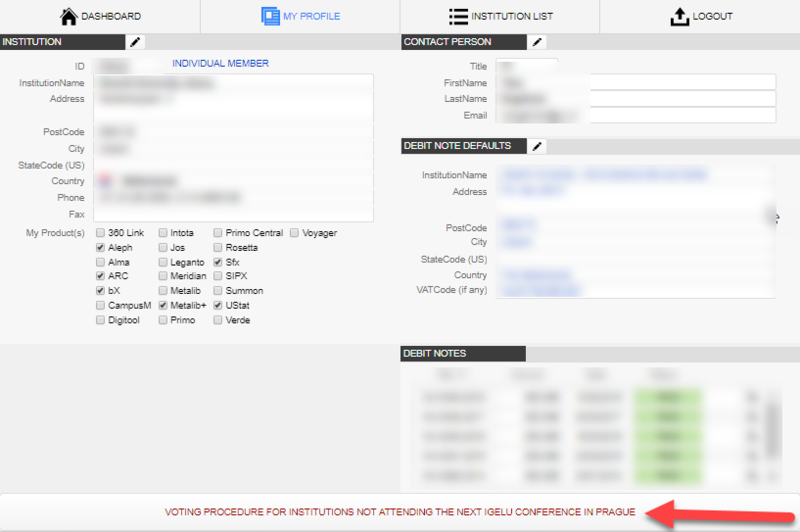 IGeLU needs to Amend its Statute, one of the main changes will be the replacement of paper voting by electronic voting. To succeed the current Statute mandates a quorum of 2/3 (289) of the active members vote. You can help us pass that threshold to use your Proxy Voting right in case your institution does not send a representative to the 2018 Conference in Prague. Your membership page will look like this – of course details not blurred.